Diana gave us a jar of her homemade crabapple jam! She’s made the jar look pretty and everything. In return we gave her some of our crabapple harvest so she can make more jam. LOL. Sadly, I can’t try it yet because I’m still sugar free. The Met Office declared 2018 to be the hottest summer on record for England. I am worried about climate change. I don’t want England to turn into Singapore every summer! On the other hand, climate change caused the freak snow we had in March and I loved that. I guess life balances out. 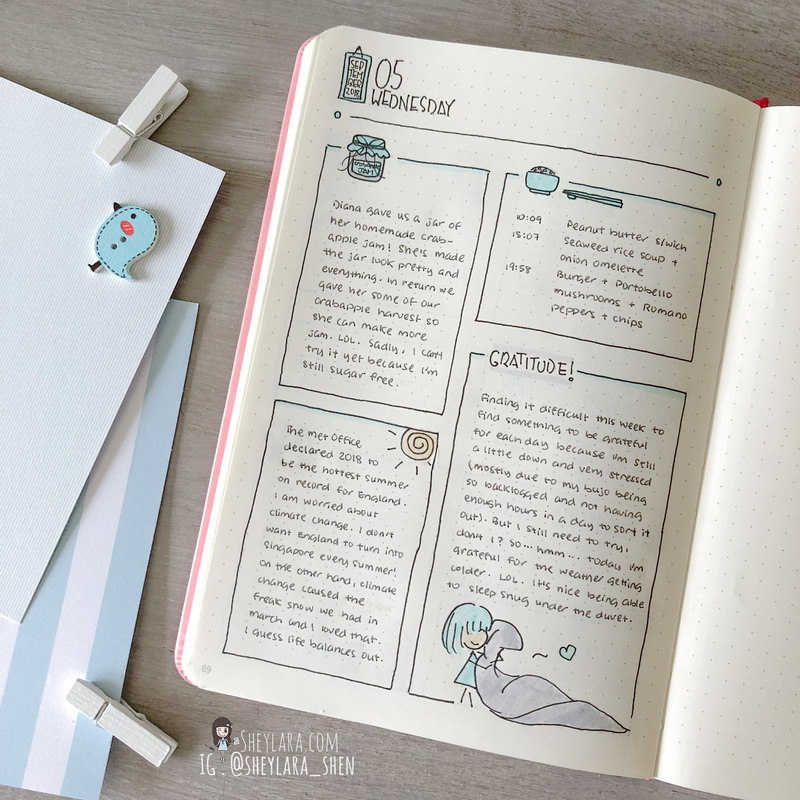 Finding it difficult this week to find something to be grateful for each day because I’m still a little down and very stressed (mostly due to my bujo being so backlogged and not having enough hours in a day to sort it out). But I still need to try, don’t I? So… hmm… today I’m grateful for the weather getting colder. LOL. It’s nice being able to sleep snug under the duvet.